Good accessibility by car. Very quiet. Friendly service. Comfortable beds. 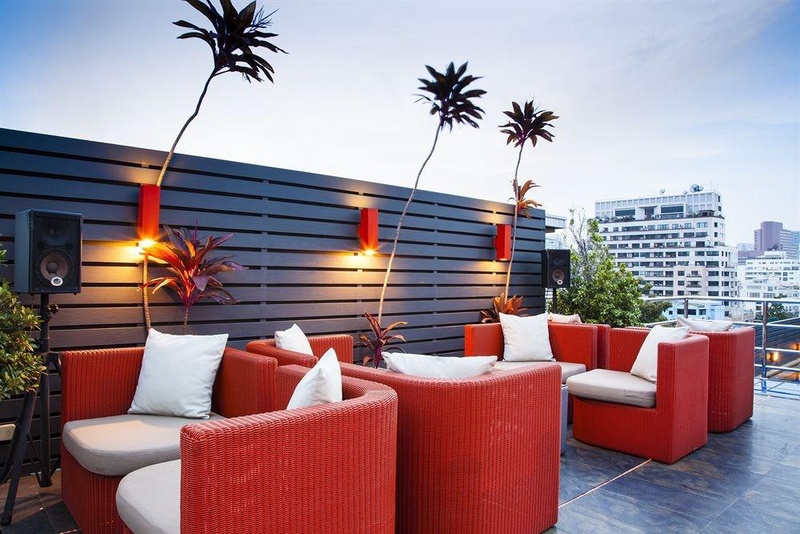 This boutique hotel offers its guests the possibility of a retreat in the heart of all of the action and makes for the perfect base to escape and revive. 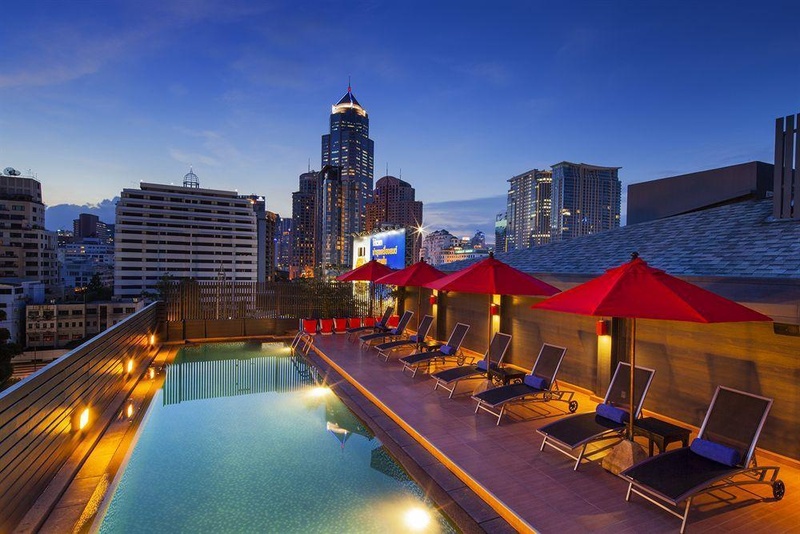 It is conveniently located just off Bangkok's busy Sukhumvit Road, the epicentre of the city's bustling business and shopping scenes. 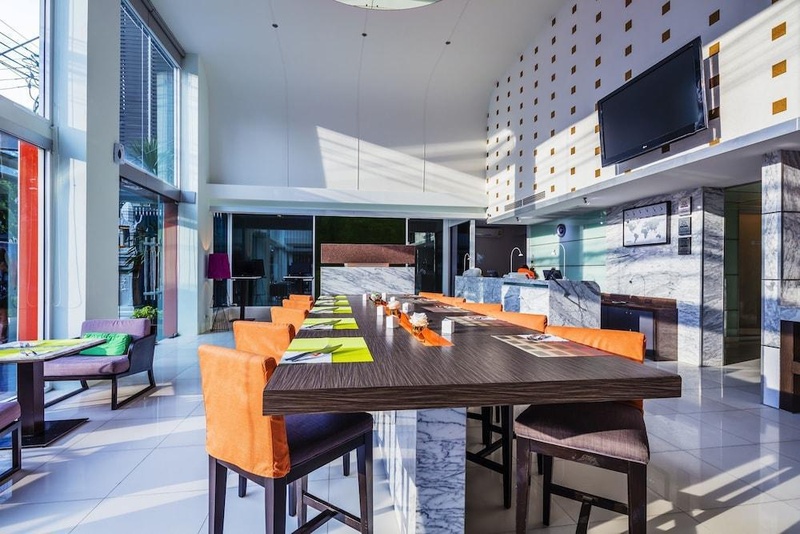 Numerous restaurants, bars, nightclubs and shops are all within walking distance, while the nearby Skytrain Ploenchit station provides convenient and fast access to all key destinations in central Bangkok. 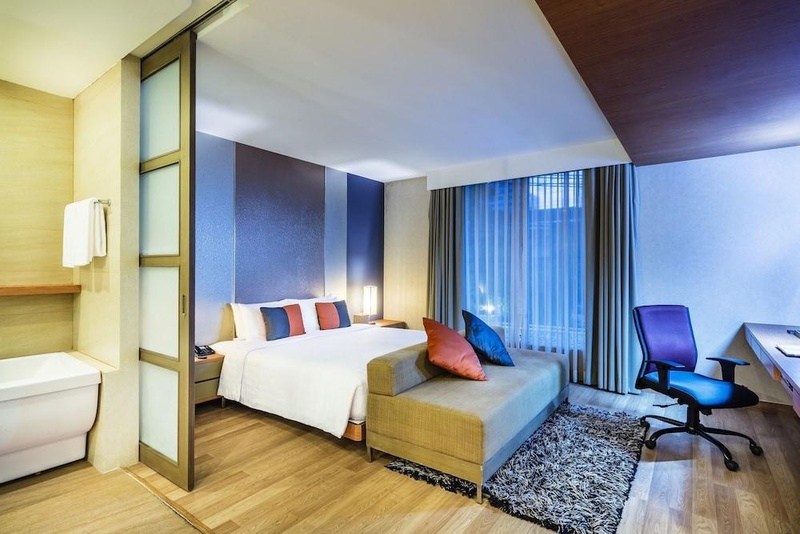 The rooms are designed with guests' comfort and needs in mind, ensuring that they have a great experience with customised king-size mattresses and high-quality bedding. 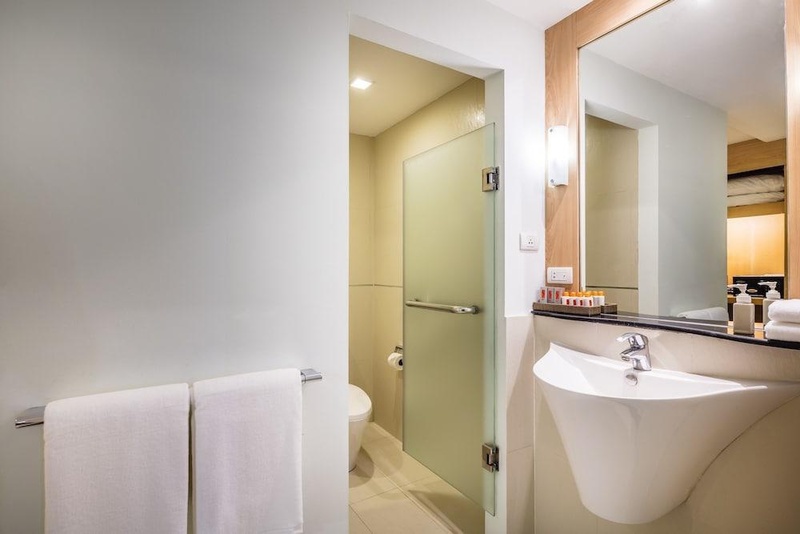 An integrated workstation with easy-to-access data ports, wireless Internet access as well as an interactive LCD flat-screen TV feature in all rooms in order to help the discerning business traveller with his work while on the road. Close to skytrain Nana station. They have a tuktuk. Close to shopping malls. Good business hotel. Easily accessible by car and close to public transportation. Great room. Excellent cleaning. Welcoming staff members. Outstanding staff/service. Excellent walk in shower. Great air conditioner. Great pillows. Wonderfull swimming pool. Rooftop pool good. Nice roof top pool. High speed Internet. No wifi. Wifi didn't work. Omelettes made to order. Eggs cooked to order. Not much choice for breakfast.